Some information to get you started! We want to make sure you have the best trip possible so we put some information below to help. Bring a camera of course! Sunglasses, rain gear, warm layered clothing, sun block, a hat, and lots of film. You will also need to purchase an Alaska Fishing License. And if you are fishing for kings you will also need to purchase a King Salmon Stamp. 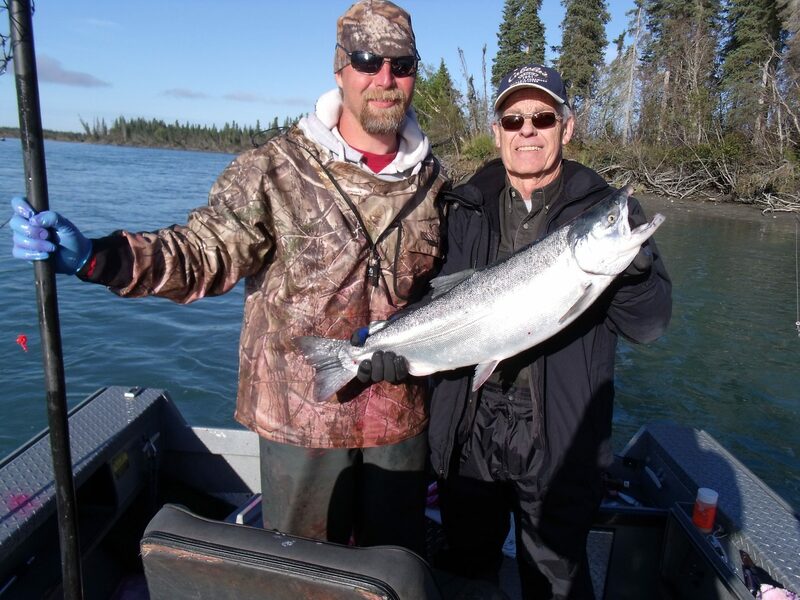 Your Kenai River fishing guides will fillet your catch for you. From there you may take your catch to one of the local fish processors. They will vacuum seal and freeze the filets for approximately $1.30 per pound. They can even ship your catch home, or put it in fish boxes so you can take it as checked baggage on the flight home. Yes! You have the opportunity to see bald eagles, moose, caribou, beavers, otters, and, of course, fish! 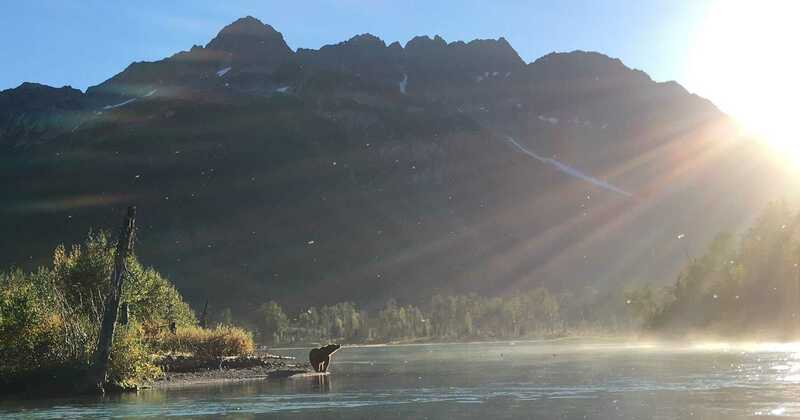 You may also see bears on one of our fly-out trips. Do we need to bring any fishing gear? No, all of our trips are fully guided and outfitted. You can bring your own fly gear for the Rainbow Trout Trips if you want, however, it is not necessary. We provide fly gear and spin casting gear for the Trout trips. And top quality bait casting gear for your salmon trips. There are supermarkets and restaurants in town. Most guests eat a light breakfast, bring a cooler of food on the boats, and then eat at local restaurants for dinner. Just ask us for our recommendations! Of course is you are staying at our cabin we have a fully equipped kitchen and backyard BBQ for your use. The king salmon bag limit is 1 per day. Silver salmon is 2 per day in August and 3 per day in September, October and November. Halibut is 2 per day. Rainbow trout are catch and release only. The red salmon limit starts at 3 per day and can change depending on the run. What about mosquito’s? Will the Alaskan variety really carry you away? On the Kenai peninsula, the numbers vary from year to year and with a little bug repellent you will be fine. There are locations in Alaska where a head net is helpful. So just double check with your guide to find out what exactly you will need. Is there really 24 hour daylight? Yes, Resident Alaskans live for the summer months of continuous daylight. It will be weird for people who are accustom to the sun going down, but don’t worry, most lodging will have ‘black out’ shades for your convenience. Clam Digging at Clam Gulch, just 20 miles from Soldotna, all you need is a clam tide, a shovel, some rubber boots and a fishing license.